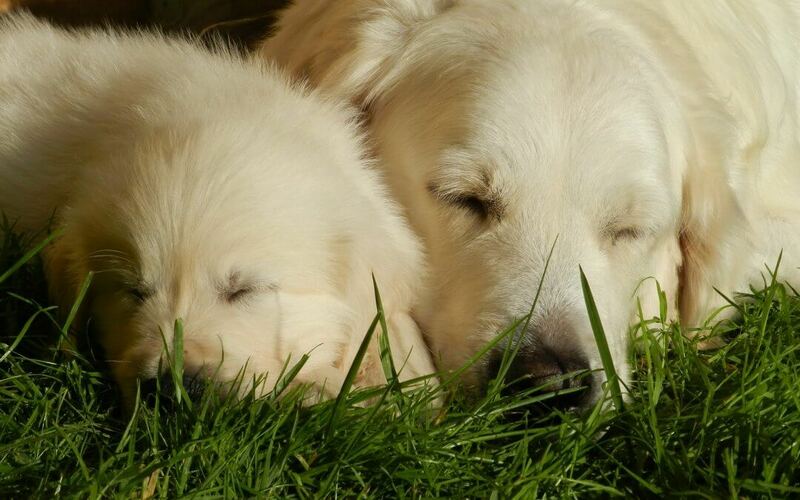 American & English Cream Golden Retriever – How Can You Tell Them Apart? Golden retriever is one of the most well-known breeds of dogs to the trained and amateur eye. With its amazing sun-kissed coat and downward inclined ears, the Golden retriever has become the poster dog for dogs in the entire world. In spite of all these qualities, there has been great confusion regarding the classifications of Golden retrievers. The very first and primary and primary, Golden Retrievers refer to the medium-sized breed that were traditionally bred as gun dogs to fetch hunted waterfowl or ducks, and highland game birds during the course of hunting trip. The breed was accepted by numerous countries, but exclusively by England and the United States due to which two major different standards of breeding the Golden Retriever developed. The golden retriever breed was first accepted in the British Kennel Club and the American Kennel Club in 1911 and 1934 respectively. In the mean time, the Americans acquired different breeding standards in order to match the requirements and preferences of American market while the British redirect their efforts to match European market. Have you ever wondered what the difference between these two retrievers originated from same breed? They aren’t two different breeds. The American Golden Retriever and English Cream Golden Retriever both are normally known as Golden Retrievers. All over the world, these dogs are registered under “Golden Retriever” without extra sub-specification in the registry. The term “English Cream Golden Retriever” is used in the U.S. in order to distinguish dogs whose very recent hereditary are from European kennels. Other then this the English Cream Golden Retrievers are also known as White Golden Retrievers, English Golden Retrievers, European-style Golden Retrievers, Imported Golden Retrievers, British Golden Retrievers or English Creams. It is found that The English cream golden retriever is definitely a healthier dog than the American retriever. On the basis of studies, more than 62% of all American golden will die each year due to cancer whereas, English golden retrievers have been thoroughly tested for multiple times. In order to produce dogs with higher genetic tendencies and fewer diseases such as cancer, hip dysplasia and elbow dysplasia, English retrievers are provided with special care. The result you found due to these high health standards is that the English retrievers encounter very few health problems and end up living longer, happier lives. Both are very friendly making them unsuitable as guard dogs and also make them a favorite among families and anyone who loves dogs. However, you will experience the slightly more smooth temperament which set the English golden apart in huge crowd. The American Golden Retriever is distinguished with a head structure that is broad-skulled and arched and come with medium to large dark eyes and closely-fitted edges. Their ears are short and inclined right above the eyes while covering them. On the other hand, the English Cream Golden Retrievers are distinguished by a well-balanced head, which is larger than American retrievers. Their skull is also broad and ears are fairly sized, approximately level with the eyes. The most well-known difference that arises between two breeds is the color of their coats. The English retriever has a light colored coating than an American. The American Golden Retriever has rich, shiny golden of various shades in its colors. The color of English Cream Retriever lies between the shades of cream to the greatest extent of gold. In summary, you can say that the American Golden Retrievers have a longer and thicker coat of fur whereas; the English Cream Golden Retrievers have reasonably shorter and wavier coats of fur. These are the basic differences that arise from the different breeding standards of the canine registries of America and the British. But the ultimate answer lies in the eye of beholder. At the end of the day, their breed remains the same friendly, fun, loving, and perfect family dogs. Cool Facts About Golden Retrievers.